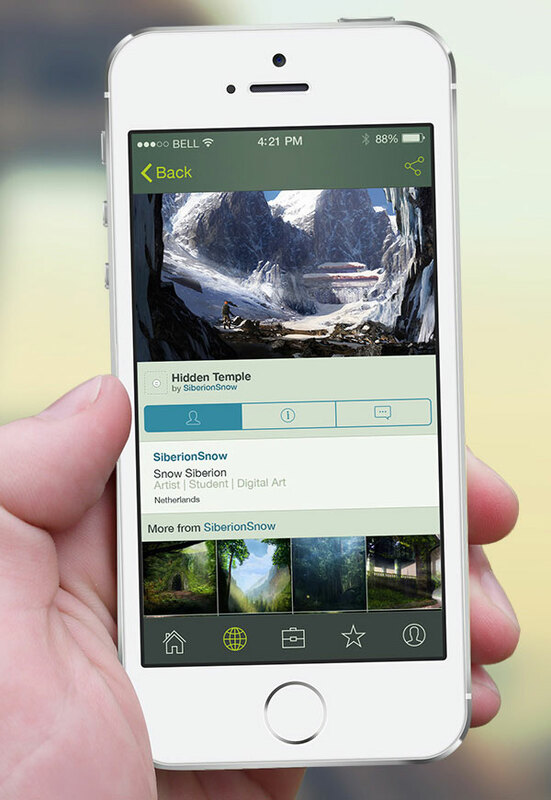 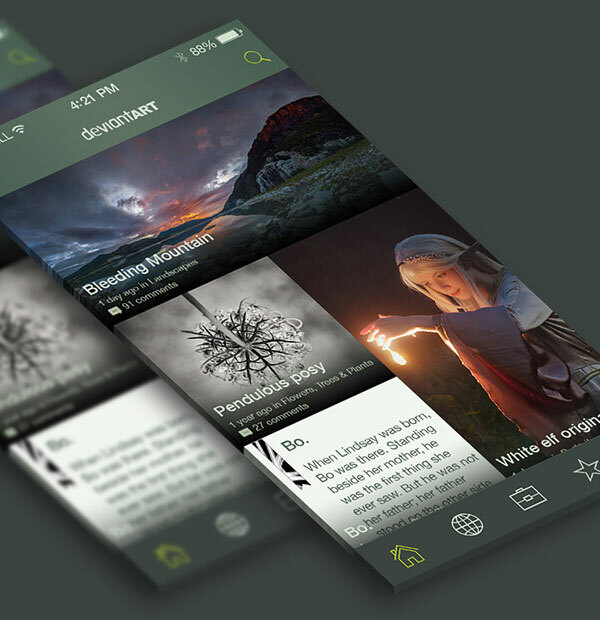 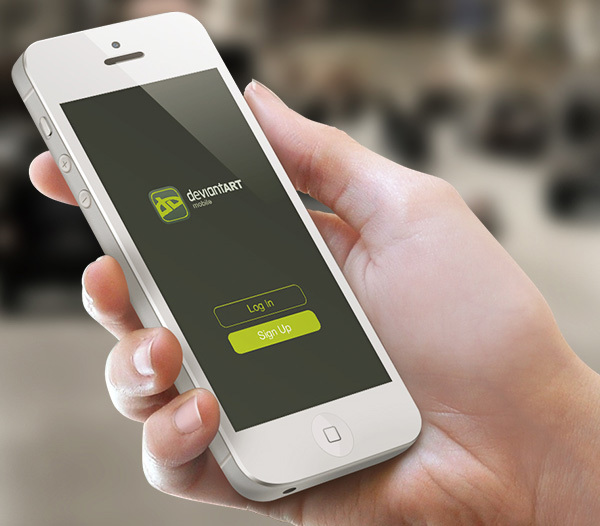 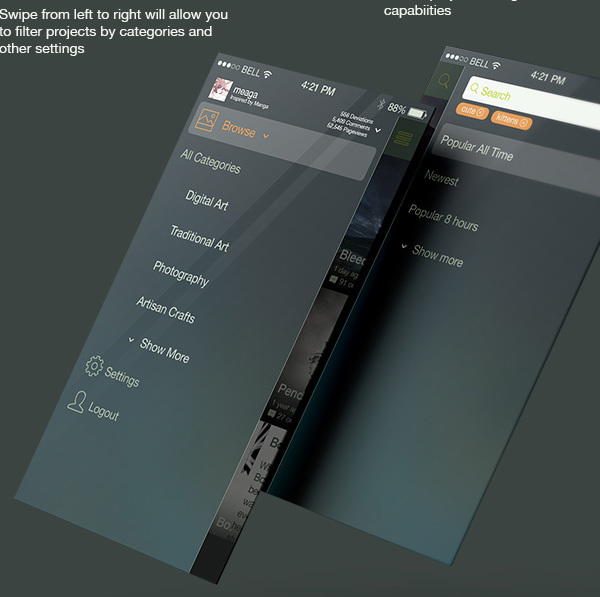 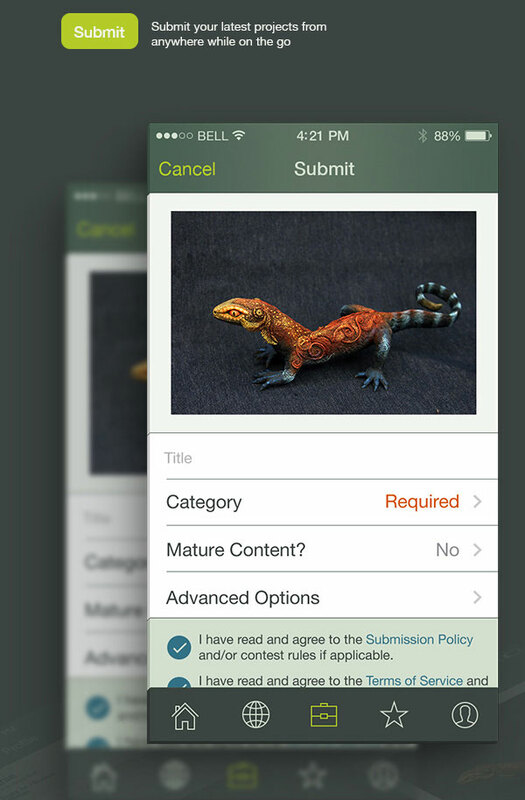 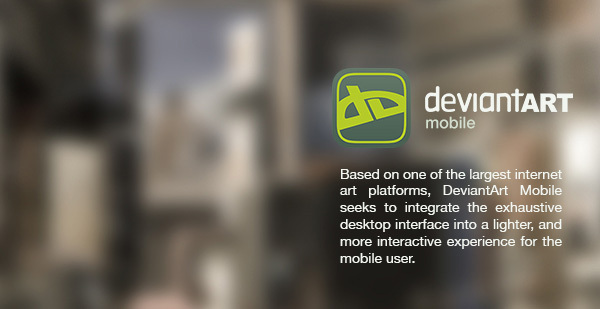 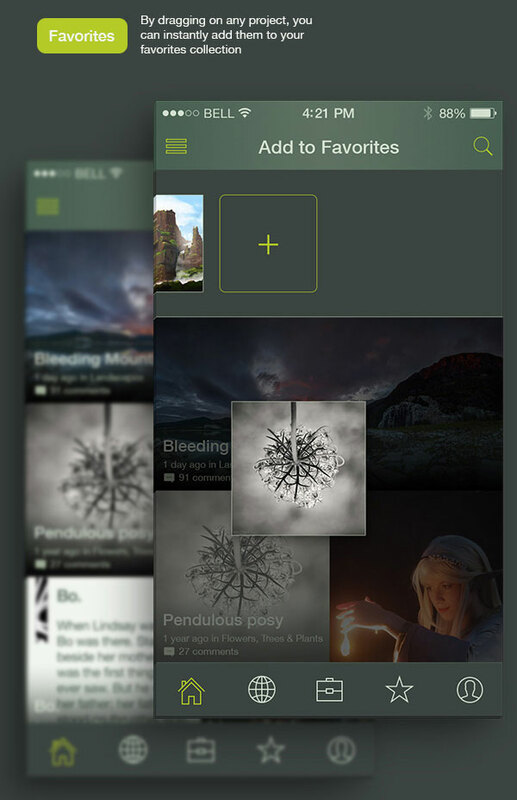 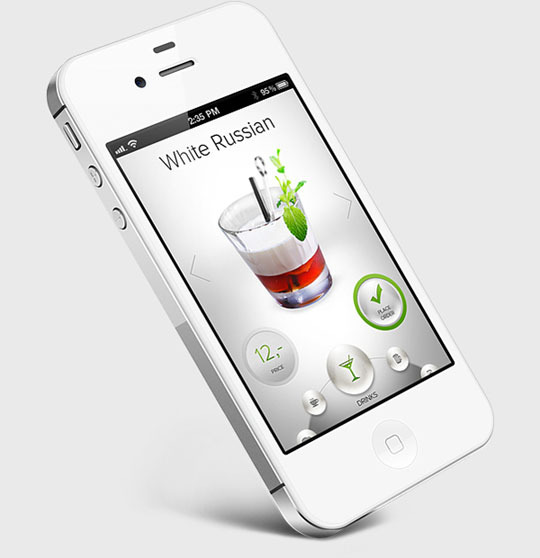 Today’s mobile application DeviantArt Mobile Concept is designed by James Chu. 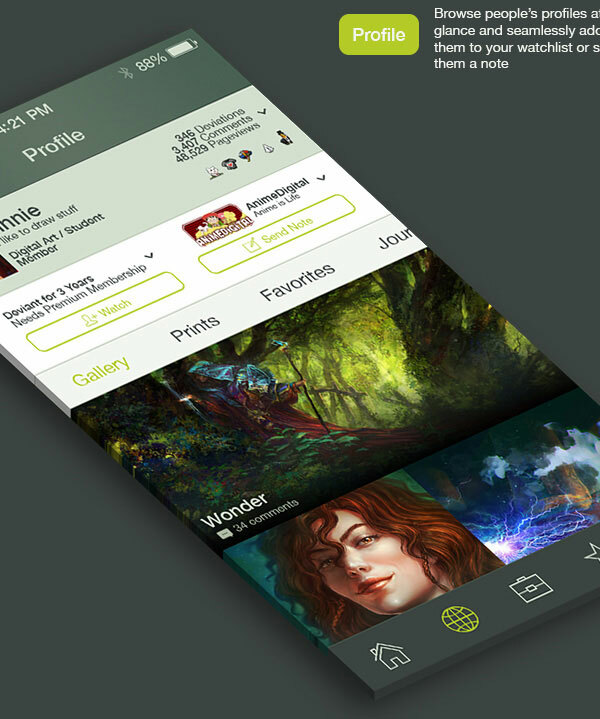 Based on one of the largest internet art platforms, DeviantArt Mobile seeks to integrate the exhaustive desktop interface into a lighter, and more interactive experience for the mobile user. 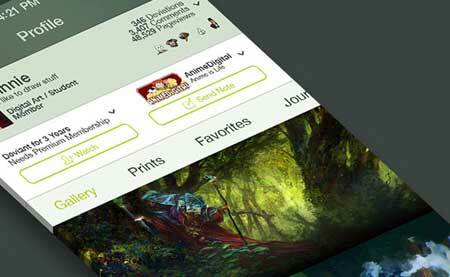 48hourslogo – Logo Design Contest That Works!